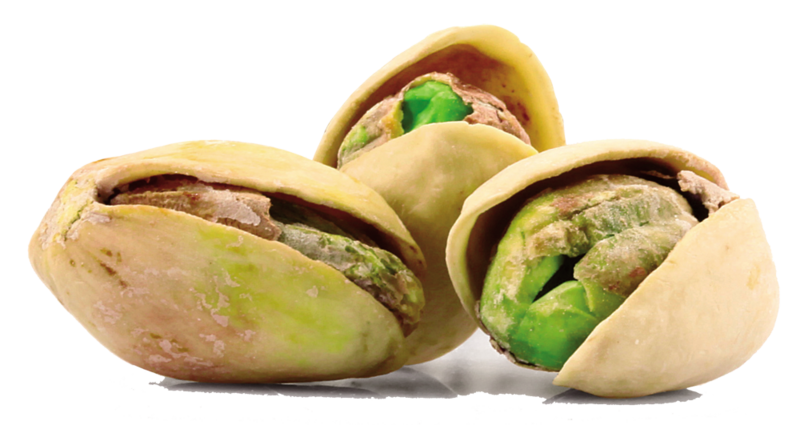 Around 60% – 70% of Iran pistachios are consumed as in shell snacks and around 20% – 30% are consumed as kernels (or we say shelled).The kernels are often eaten whole , either fresh, roasted of salted and are also used in ice cream. Pistachio butter , pistachio paste and confections such as baklava, pistachio cho – pistachio biscotti and cold cuts.Shelled (or we say kernels) pistachios are perfect for :• ConfectioneryCoarsely chopped, as a filling. A layer or an ingredient into the dough. Unsalted, as a part of the base flavor, a topping , flavor, a topping , fragrance and crunchy. Diced, as a filling, a topping, crisp and smooth. Pistachio nut oil features flavorful, pleasant nutty aroma and has excellent emollient protected from dryness.